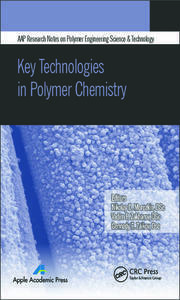 This new volume presents leading-edge research in the rapidly changing and evolving field of polymer science as well as on chemical processing. 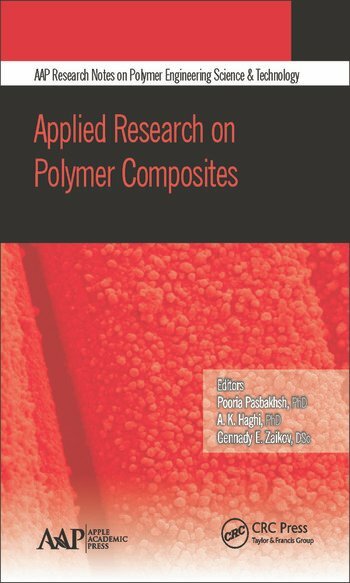 The topics in the book reflect the diversity of research advances in the production and application of modern polymeric materials and related areas, focusing on the preparation, characterization, and applications of polymers. Also covered are various manufacturing techniques. The book helps to fill the gap between theory and practice in industry. The book introduces current state-of-the-art technology in modern materials with an emphasis on the rapidly growing technologies. It takes a unique approach by presenting specific materials and then progresses into a discussion of the ways in which these materials and processes are integrated into today's functioning manufacturing industry. 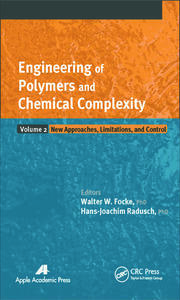 Readers will also discover how material properties relate to the process variables in a given process as well as how to perform quantitative engineering analysis of manufacturing processes. Pooria Pasbakhsh, PhD, is currently a lecturer at the School of Engineering, Monash University Sunway Campus, Malaysia. Dr. Pasbakhsh’s research has been centered on the development and application of computational approaches and experimental tools for modern polymers, halloysite nanotubes, and polymer clay nanocomposites. Gennady E. Zaikov, DSc, is head of the Polymer Division at the N. M. Emanuel Institute of Biochemical Physics, Russian Academy of Sciences, Moscow, Russia, and professor at Moscow State Academy of Fine Chemical Technology, Russia, as well as professor at Kazan National Research Technological University, Kazan, Russia. He is also a prolific author, researcher, and lecturer. He has received several awards for his work, including the the Russian Federation Scholarship for Outstanding Scientists. He has been a member of many professional organizations and on the editorial boards of many international science journals. A. K. Haghi, PhD, holds a BSc in urban and environmental engineering from University of North Carolina (USA); a MSc in mechanical engineering from North Carolina A&T State University (USA); a DEA in applied mechanics, acoustics, and materials from Université de Technologie de Compiègne (France); and a PhD in engineering sciences from Université de Franche-Comté (France). He is the author and editor of 150 books as well as 1000 published papers in various journals and conference proceedings. Dr. Haghi has received several grants, consulted for a number of major corporations, and is a frequent speaker to national and international audiences. Since 1983, he served as a professor at several universities. He is currently editor-in-chief of the International Journal of Chemoinformatics and Chemical Engineering and Polymers Research Journal and on the editorial boards of many international journals. He is a member of the Canadian Research and Development Center of Sciences and Cultures (CRDCSC), Montreal, Quebec, Canada.